Edgar is one of Ladybird's five kittens, and he is amazing! He is a spunky and affectionate kitten, that gets along well with other cats, dogs, and all age ranges of people. He tolerated being carried around for days by a three year old remarkably well! 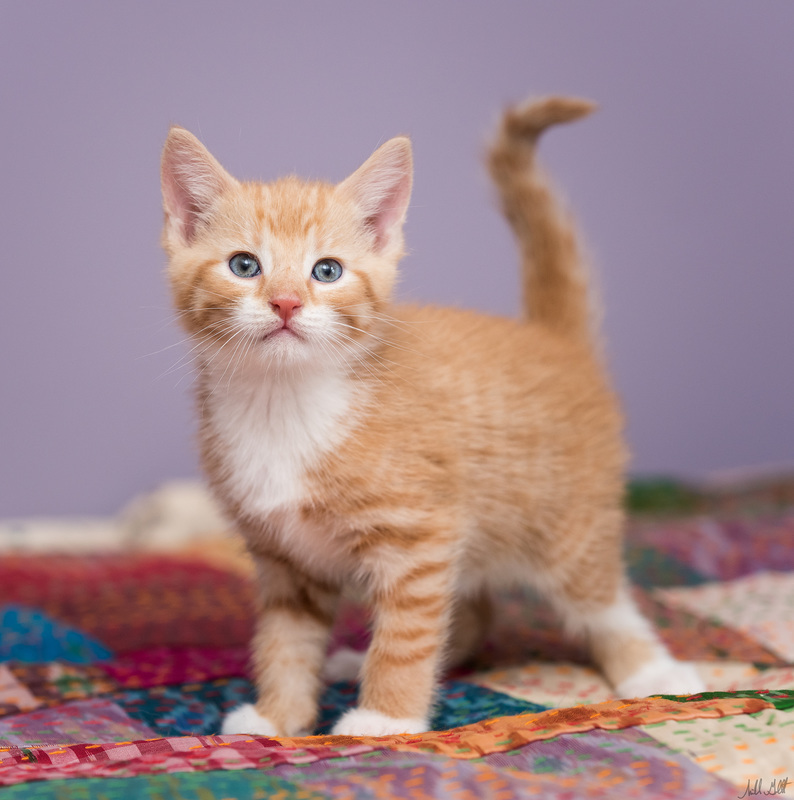 Edgar is a kitten that likes to spend time with his person, and be involved in what they do. He's also perfectly capable of keeping himself entertained with skitter toys and a nice tall cat tree. If you are looking for a big hearted kitten who loves lots, plays hard, and sleeps in odd spaces, Edgar is your guy!